Man I got lucky and home just in time to watch the show! Seriously, I walked in the door at 8:00 and turned the tv on at 8:01. I’m so glad too, because this episode was actually pretty good, even with the Barry/Iris crap. 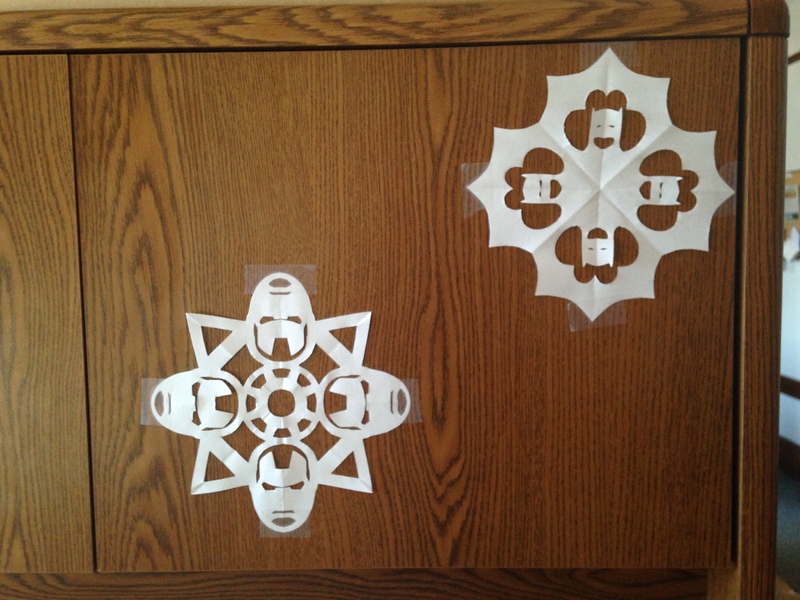 So I found these awesome snowflake templates online. They are pretty self explanatory, and I took step by step pictures. Some of them get pretty hard, and you need to cut them with an x-acto knife, but otherwise they are awsome! How awesome does this weeks villain look? I think he looks pretty groovy. It’s a shame that his character was kinda lame.